BREWERS LOSE! CUBS WIN! IT'S ALL OVER! 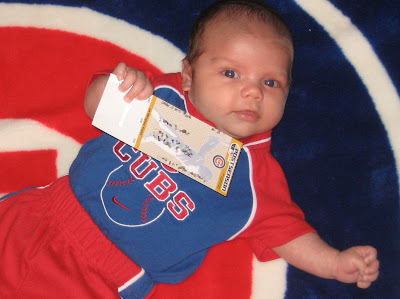 Hands off my ticket to the divisional series @ Wrigley! Coming Monday, http://www.cubsmagicnumber.com/ will go into Playoff Mode. The number will reset to 11, the total number of wins needed by the Cubs this October for a World Championship (3 wins to advance from the Divsional Series, 4 wins for the League Championship Series and 4 wins to seal the World Series). Let's see the site go to 0 once more this year! can someone turn off the car alarms please? Woo-Hoo! I've been waiting 99 years for this, by gummy! I hope that handsome young man in the picture has good seats for the playoffs! And I hope he sees several Cubs championships before he turns 99 years old. I hear Steve bhartman's going to the first game.